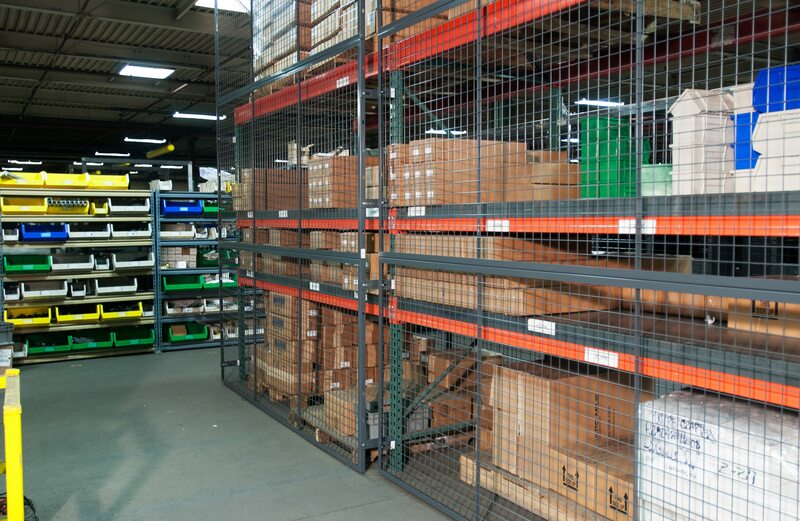 To protect personnel, equipment, facility, and inventory from hazards, protective guarding is frequently installed in manufacturing and warehouse facilities. It can be a fixed barrier that indicates a boundary or slows or stops an impact. Typical applications include fixed rails surrounding moving equipment or machinery, safety fencing or netting placed around high-bay material storage areas to catch falling objects, or specialized switches that sound loud bells or buzzers should unauthorized access occur. WireCrafters Machine Guards are a simple, effective way to protect personnel from the dangers posed by automated equipment. 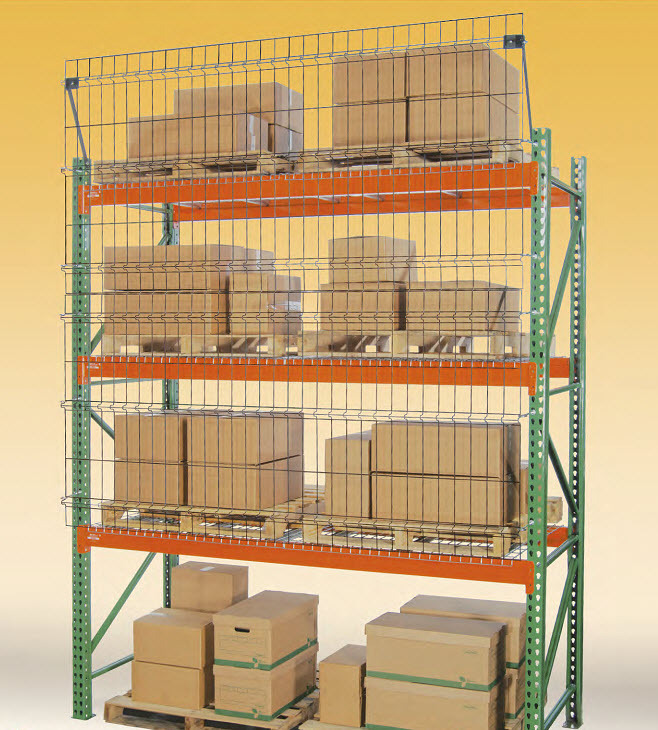 These barriers are a strong and economical solution to plant safety needs. Versatility of this system allows easy integration of access doors or larger openings with system controls. Machine Guarding also doubles as a safety net by containing malfunctioning equipment. Crimped and woven wire mesh is extremely resilient; it resists dings, retains its shape, and is virtually maintenance free. OSHA and ANSI/RIA COMPLIANT.